Official Nobel Prize Games for Medicine! 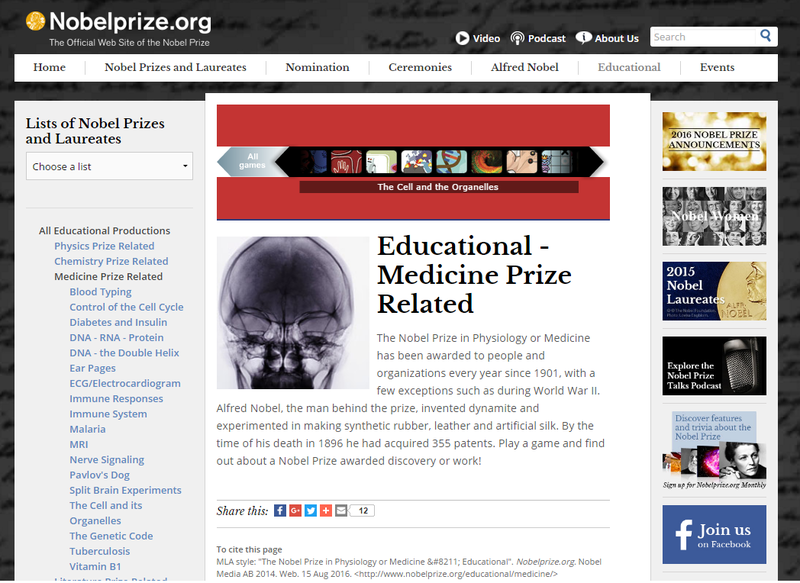 The official website for the Nobel Prizes features "educational productions" related to Physics, Chemisty, Medicine, and even Literature! If you're a nurse or someone with 5 minutes of free time, learn a thing or two about Blood Typing, the MRI, or Tuberculosis - through games!